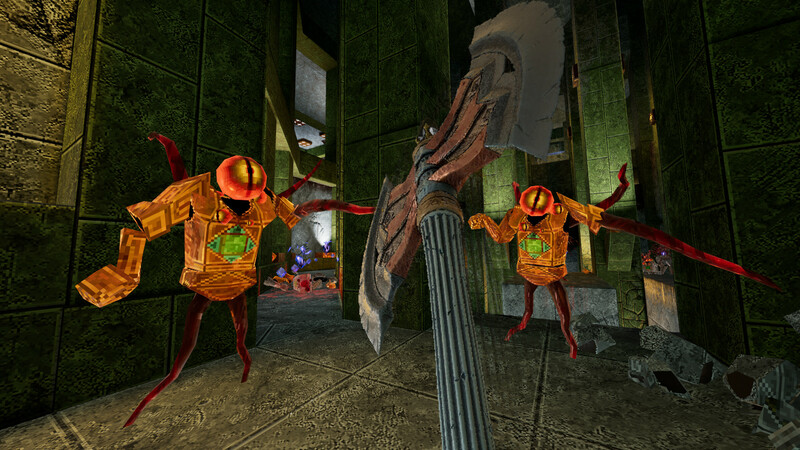 New Blood Interactive has released Amid Evil's sixth episode today. One step closer to final release, this new episode takes us to the "Arcane Expanse" and it looks ridiculous. I'm so awestruck by some of the architecture in these levels because it's exactly the kind of winding, labyrinthine design that I like. All you'll need to do to grab the new episode is log in to Steam and download the update. To celebrate the launch, Amid Evil is currently 15% off. You should totally consider buying it, too, as Amid Evil is pretty great.